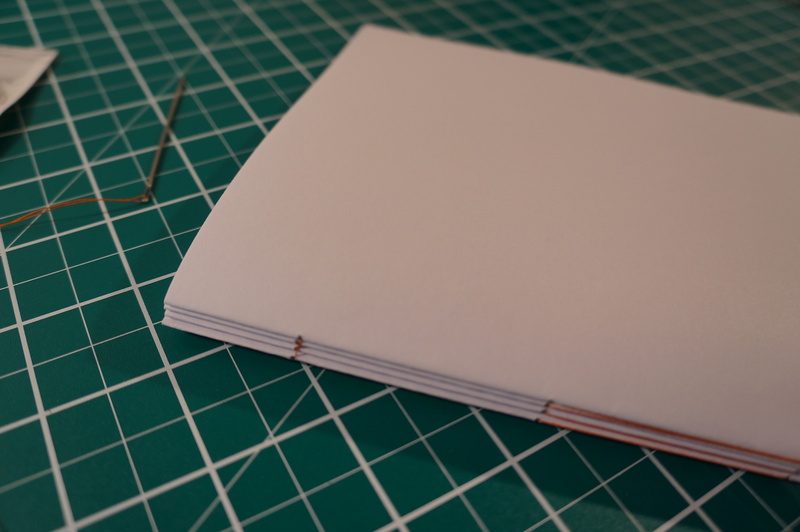 How can the process of binding can inform the publication for the project? The use of open, or ‘case binding’ without a spine, can present a document for which paper stock (colour, density, type) can inform a visible index for the document before it is opened. It also allows these different media to be collated in to a single document, providing the ‘support structure’ for the module. This use of different paper stock opens opportunities for various print methods, as well as addressing variable ageing processes when examining the archival qualities of individual work. Following a visit to Henry Mills Bookbinders in Aston, this process can be done using a machine and at a mass production level, suitable for the number of documents we would be producing for the exhibition. Different paper stocks can also be accommodated, albeit if they are collated within suitable materials and within a ‘signature’ of 16 sheets or more.